Having debts makes life very difficult and unbearable. Some credit card debts have high interest rates so your debt accumulates very quickly making your financial situation difficult. Pay off your debts as fast as possible to prevent your from accumulating. Here are 10 ways you can use to reduce credit card debt. 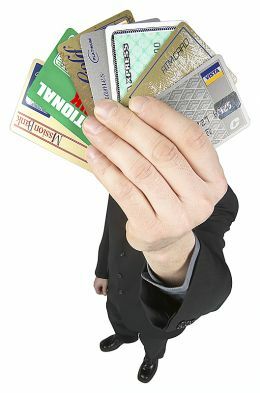 Categorize the debt into two sections, preferably into high interest and low interest cards. Pay off the cards with the highest interest rate first because if you don’t, the interest will cause the debt to accumulate. Pay the minimum amount to avoid penalties and high interest rates and do not skip any payments. Your credit score will be negatively affected if you skip a payment. In the future, you will have a hard time to getting lenders to give you a loan. The default may show on your credit card for a period of up to 2-3 years. You will not make any difference to your debt if you pay just the minimum monthly amount alone. Pay more than the minimum if at all possible. Look for ways to make extra cash to add to your monthly amount. You might reduce the amount of money you put aside for retirement and add this to pay off the debt. A great disadvantage of using a credit card to shop is that you cannot keep track of your expenses. Use cash while shopping because you will then see the money going away and will buy necessary items only. Get another job, which will boost your income and help you pay off ypur debts faster. You could do blogging or get a part time job such as babysitting. Use the extra money to pay off what you owe. You will see that with time your debt will reduce significantly. Cook your food at home because it is cheaper and will help you save money. You are working towards reducing your credit card debt so you should be ready to make sacrifices. Debt restructuring involves negotiating with your lenders by asking them to stop charging interest because you cannot keep up with your payments. They may even give you a grace period where you could stop making payments altogether. An advantage of this method is that you will have time to organize your finances. Debt consolidation involves taking out a loan that will pay off all your debts. Before you decide on the amount of loan you will need, calculate your total debt and make sure to include all the interest. The loan is supposed to cover all your debts so do your calculations carefully. While debt consolidation is a viable option to get out of debt, it is not the best option because you will only be moving your debts from one place to another. Enroll in credit counseling sessions so that you can get the skills necessary to help you overcome your financial obstacles. Submit honest information on your financial situation to enable the credit counselor to help you. You will also be taught how to come up with a budget that will help you to pay off your debt. Once you enroll in a debt settlement program, your payments will be put into a trust at the debt] settlement company. When there is enough money, the debt settlement company will start negotiations with the creditors. It negotiates with your creditors by making an offer that is acceptable to both parties. You may choose to pay your creditors in installments or a lump sum but this will not occur until after an agreement has been reached between the company and your creditors.